Estimates were based on a sample of the U.S. civilian, noninstitutionalized population aged ≥18 years who reported being employed during the week before the interview. Those who did not respond to the question were not included in the denominators when calculating percentages. 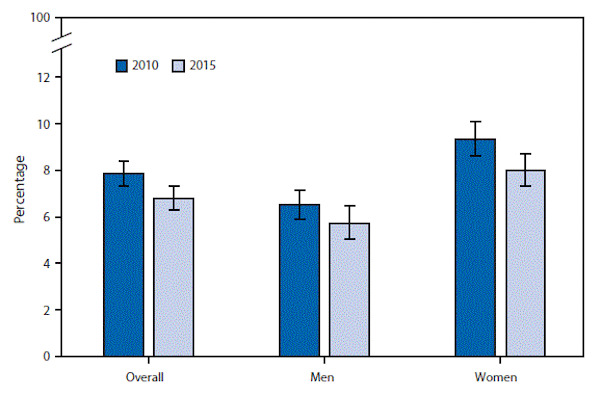 Data Source: National Health Interview Survey, 2010 and 2015. This entry was posted in Medicine and Society Data Watch on May 3, 2017 by Genevra Pittman.